Two skaters dudes decided to dine at their local fast food restaurant. One of them kindly asked another guest at the restaurant to snap a photo of them. 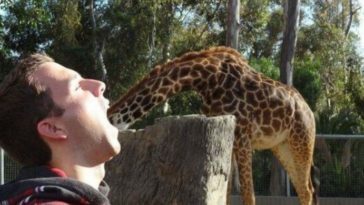 The dudes weren’t aware that behind them was a crazy guest lady. 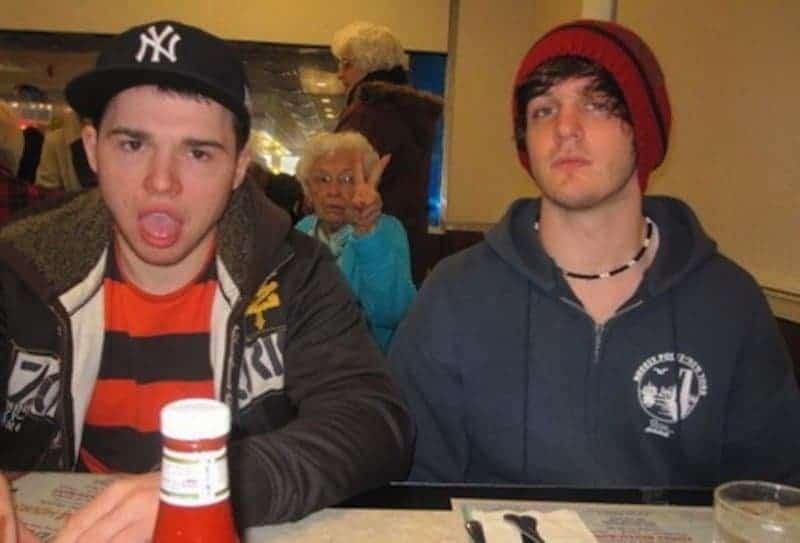 The grandma saw that someone is about to take a picture of the boys so she decided to photobomb them with a peace sign. However, although photobombed, this photo is pretty cool.